Fast charging is a relatively new feature that you might not realize your phone has. Most newer Android phones support some form of fast charging and, (with the right charger) you can fill your battery in minutes instead of hours. There are a lot of competing standards out there though, so we sorted through the mess for you. Newer Android phones support fast charging technology that can refill your battery way faster than you’re used to. Most phones can charge up to 50-60% in under half an hour, which is a lifesaver when you need to top off your phone in middle of the day. Each company has a slightly different version of the technology. Some will charge faster, while others are slower but they won’t make your battery get as hot, which can extend the long-term life of your battery. All phones have regulators in them so that your battery won’t overcharge and explode, but overheating can still wear down your phone over time. You can think of normal charging like walking and fast charging like running. You might put a little extra wear and tear on your body, but if you’re safe about it, and don’t over exert yourself, you’re going to get where you’re going a lot faster. When you’re facing down the barrel of a dead battery fifteen minutes before you leave work, though, that trade off is more than worth it. Like most things with Android, you have more options than if you bought an iPhone. That also means it’s more confusing to find the right fast charger. Most Android phones that support fast charging come with at least one fast charger. If your phone advertises fast charging on the box, or mentions it in the manual, there’s a good bet that the charger in the box is going to be the best fit for your device. If you need another charger—say for the office, or the living room—you’ll want to get a charger that’s compatible with your device. Incompatible or non-fast chargers will still charge the phone, but they’ll do it slowly. You’ll need more than just a better charger too, there’s also the matter of a proper cable. The cable you use between the charger and your phone will also need to support fast charging. Quick note for anyone with a Huawei or OnePlus phone: These companies use a special fast charger that’s more complicated than the kind other companies use. For these phones, it’s better if you buy official chargers and cables specifically made for your phones. You can find Huawei fast chargers here and OnePlus fast chargers here. Android phone manufacturers make it unnecessarily confusing to find a quick charger for your phone. All fast chargers work on the same basic principle and most will still charge your phone faster than a regular charging block. Still, manufacturers like to make slight tweaks to make what they think is the “best” version. Samsung has a version called Adaptive Fast Charging, while Qualcomm makes a version called Quick Charge 3.0 that phones from HTC and LG use. To make matters even more confusing, phone makers like HTC often rebrand their chargers so they sound like they’re some different, incompatible charger. In addition to all of that, Google uses a system called USB Power Delivery that it strongly encourages most manufacturers to support, in along side to their fancier quick charging methods. Most “incompatible” charging blocks still work and still charge quickly, just not quite as quickly as one designed for your phone. Your best bet to cut through the noise is to skip the crazy brands and marketer-speak. 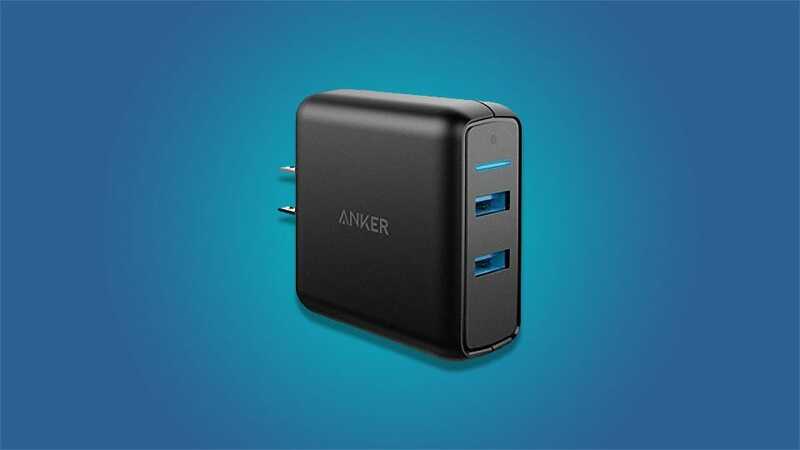 This Anker wall charger costs $24 and it supports all of the different fast charging methods we mentioned above. Plug it into your Samsung, Google, HTC, or LG phone and it should charge as quickly as your phone is capable of handling. If you need to fast charge on the road, this car charger from Aukey for $20 also supports most Android phones. Simple, right? The major exception with both of these quick chargers is Huawei and OnePlus. As we mentioned above, both of those manufacturers have customized their fast charging solutions so much that you can’t use one of these more universal charging blocks. These blocks will charge your phone at normal, slower speeds. You need special chargers and cables, which we recommend buying from those manufacturers directly. If your phone uses a micro-USB cable—which is the standard that most Android phones have used for years—we recommend any of Anker’s PowerLine cables. They’re cheap, they support fast charging, and most importantly, Anker has a history of accessories that properly adhere to fast-charging standards. When manufacturers take shortcuts with these cables, they can have devastating consequences. Anker’s micro-USB cables come in 3 feet ($5), 6 feet ($6), and 10 feet ($7) varieties. 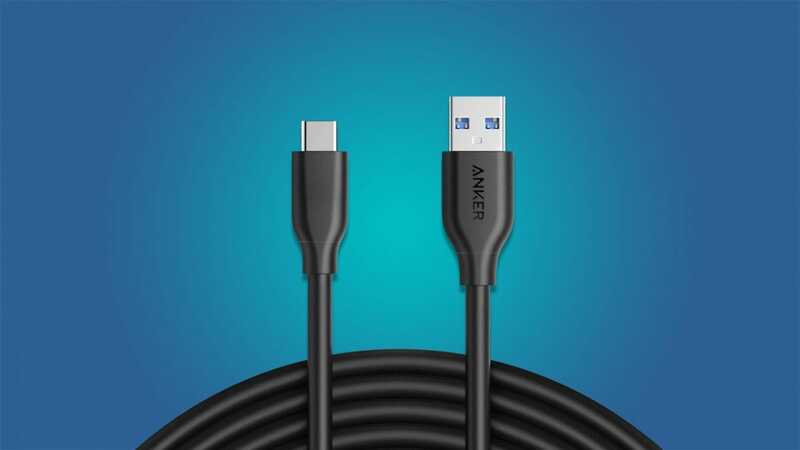 If, instead, your phone has a USB Type-C port—the newer, reversible port that’s so much nicer than micro-USB—then you’ll need Anker’s Type-C version of the PowerLine cables, which come in 3 feet ($7), 6 feet ($8), and 10 feet ($12) options. All of Anker’s PowerLine cables use heavier gauge wires well suited for the increased power demands fast charging puts on the cable. All of the charging blocks we recommend have the regular, rectangular USB port that you’ve seen forever on them. 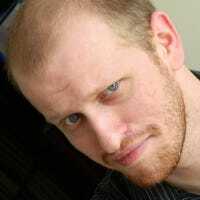 However, some use the reversible Type-C port on the block itself. If you get a charging block like that, you’ll need a cable with the Type-C port on both ends. 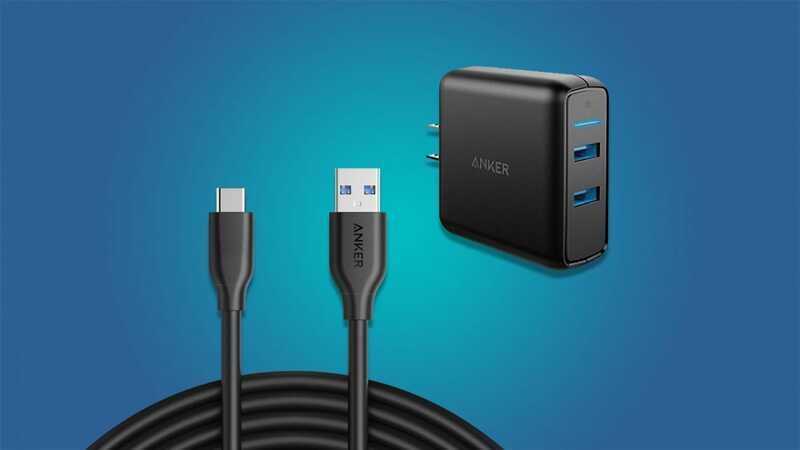 Anker has these in 3 feet ($8), and 6 feet ($10) options. You shouldn’t need these if you stick to our recommendations, but it’s something to watch out for if you find another charging block you like that uses USB Type-C ports instead. Despite the confusion of everyone having their own fast charging method, it’s actually simple for most phones. It’s easy and cheap to get a charging block that’s way faster than old cellphones used to come with. It can’t make your phone last all day on a single charge (that’s a matter of battery capacity) but it can make it a lot easier to top it off in the afternoon when you’re running low.